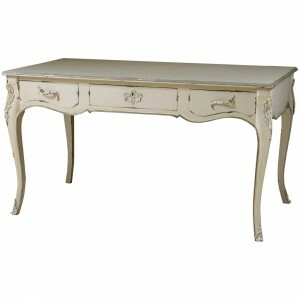 Inspired by classical French designs, this French style writing desk looks sumptuous and romantic. Crafted from mahogany, this desk is painted in an off-white and is finished with a light patina to give it a gentle aged effect. 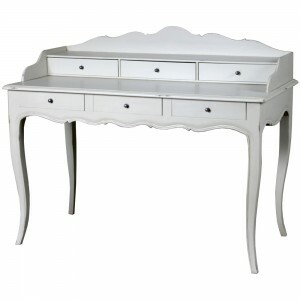 This piece has an ample amount of storage with 4 drawers, and a perfect match with our Provencale french chairs.